Manhattan District Attorney Cyrus R. Vance, Jr., today announced the sentencing of SELVAGGIA PIZZETTI, 44, to 3-to-9 years in state prison for stealing approximately $2.8 million from her former employer to pay her personal expenses and finance her gelato and pastry business. On February 8, 2017, PIZZETTI pleaded guilty to Grand Larceny in the First Degree and Criminal Tax Fraud in the Second and Third Degree. 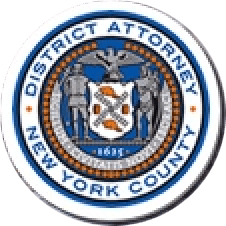 As part of her sentence, the Judge executed judgment orders in favor of the victim and the New York State Department of Taxation and Finance, holding PIZZETTI liable to repay more than $3 million in stolen funds, taxes, penalties, and interest. As admitted in the defendant’s guilty plea, PIZZETTI was employed as an assistant to a 95-year-old man at his various businesses, which included an espresso machine sales and service company located on West 44th Street, and several residential and commercial properties in Manhattan. In this role, PIZZETTI was responsible for managing the day-to-day operations of the various businesses, including paying bills and accepting payments. Between January 2010 and March 2016, PIZZETTI stole more than $2.8 million from the man’s personal and business accounts. She initially stole the money by paying her credit card bills directly from the victim’s accounts. Then, beginning in June 2013, through 23 unauthorized wire transfers from the victim’s accounts to her personal and business accounts and various other means. In November 2013, during the time period of her theft, PIZZETTI filed papers to incorporate Maestri Artigiani d/b/a “Crave. It,” a retail gelato and pastry shop, which later opened in Chelsea. PIZZETTI spent more than $1.1 million of the stolen funds on expenses related to her business, including rent, design, construction and employee salaries. In 2016, the victim discovered discrepancies in the books and terminated PIZZETTI. Subsequently, other irregularities were discovered, and the victim reported the theft to the Manhattan District Attorney’s Office. In addition to the theft, PIZZETTI failed to file New York State income tax returns for the tax years 2014 and 2015. She also failed to report the money she stole as income for tax years 2010 through 2013. Assistant District Attorneys Allen J. Vickey and Michael Frantel handled the prosecution of the case under the supervision of Assistant District Attorney Gloria Garica, Deputy Chief of the Financial Frauds Bureau; Archana Rao, Chief of the Financial Frauds Bureau; and Executive Assistant District Attorney Michael Sachs, Chief of the Investigation Division. Financial Intelligence Director of the Major Economics Crime Bureau David Rosenzweig, Paralegals Anna Vaynman and Stephen Gobes, Detective Simon Chan of the Manhattan DA Squad, Financial Investigator Diana Cincotta of the Forensic Accounting and Financial Investigations (“FAFI”) Bureau assisted with the investigation, under the supervision of Irene Serrapica, Deputy Chief of FAFI, and Robert Demarest, Chief of FAFI.